As most of you know, I have been a Certified Trick Dog Instructor for the Do More With Your Dog program since it’s beginning. As the sport of trick and stunt dog training grows more and more throughout the dog world, there have been some great new developments lately, including the biggest of them all…the American Kennel Club is now recognizing trick dog titles (more to come about this development in a future blog)! With this new partnership between the Do More With Your Dog program and AKC there has emerged an exciting new sport of Stunt Dog Competition. 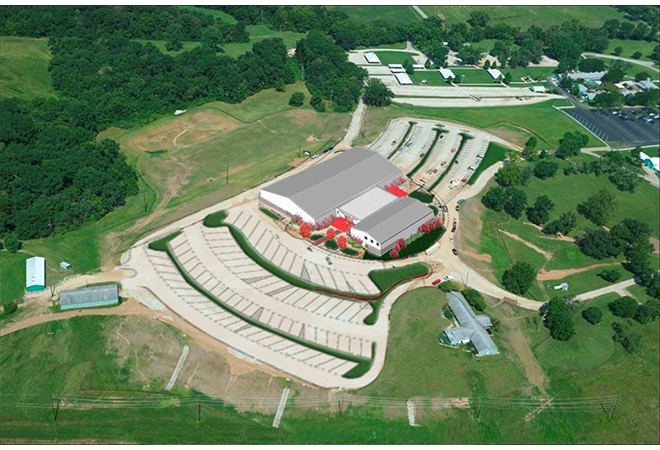 Next year, in March 2018, AKC will be sponsoring the very first ever, National Stunt Dog Competition, Conference and Trade Show called Tridex in Gray Summit, Missouri! This 3 day conference and competition will be televised and host the best trick doggers from around the globe, and I am so excited to be on the ground floor of it’s development. Inside one of the buildings at Purina Farms. I am honored to announce that not only will I be a Stunt Dog Judge for this and any future regional or area competitions, but I will also be a guest speaker at the conference (speaking about using tricks and games to work with your fearful dogs, in relation to my latest book, “Getting Braver”) and will also hopefully have the time while I am there, to compete with one of my own dogs in this 1st of it’s kind competition! So what does this mean for training at Rockin’ Dawgs? Well, the program is still in quite a bit of development, but there will be even more expansion of our trick classes here, to include a Stunt Dog Competition Class! In June, I will be traveling to Dallas, Texas for a Judges Workshop to learn the finer points of this new competitive sport. When I get back, I will get to work on the new course curriculum. Regional and area competitions will not be able to be executed until after the 1st Tridex, but of course preparation with your dog can begin way before that! 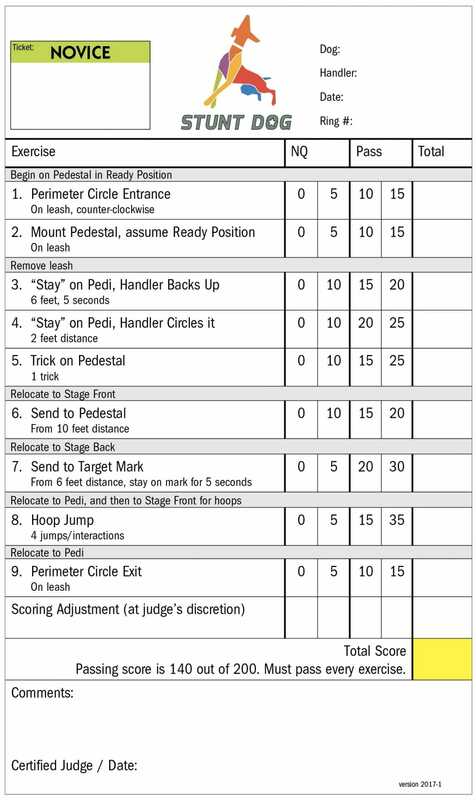 Here is a little sample of the score card for the Novice level. If you’d like to learn more about Tridex, click HERE to visit the Do More With Your Dog website. 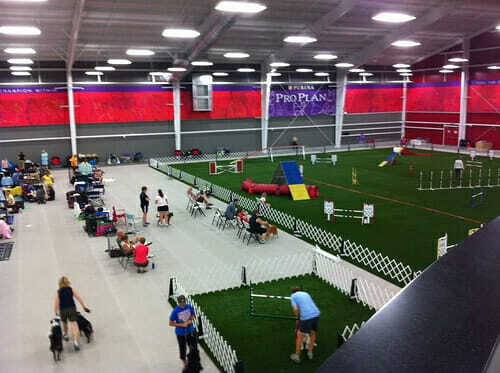 News & Events competition, dog training, judge, stunt, trick training, TriDEx. permalink.